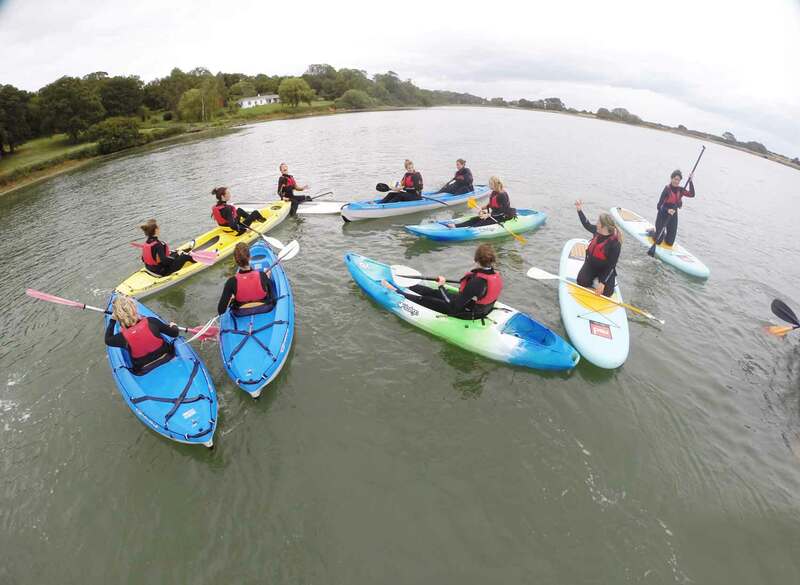 Whether you’re a regular on the water or a total beginner, we’ve got all the kit and skilled instructors to make sure you have a great time. We offer a number of different sessions, complete with wetsuit, buoyancy aids and splash tops and absolutely no hidden costs. 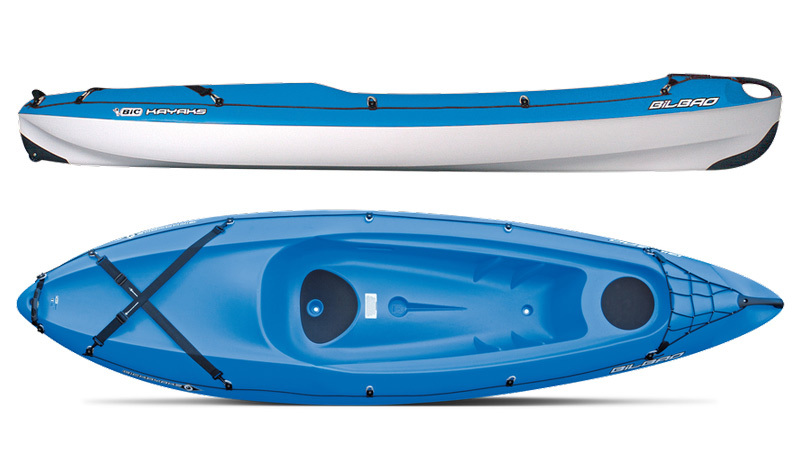 Minimum age: 9, unless in a double kayak with an adult. Our supervised ‘splash’ sessions are easy going, safety covered sessions for you and the family. 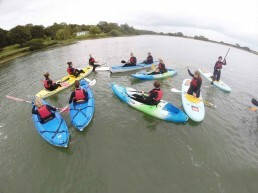 Our fully qualified instructors have plenty of fun games and challenges for you to try. 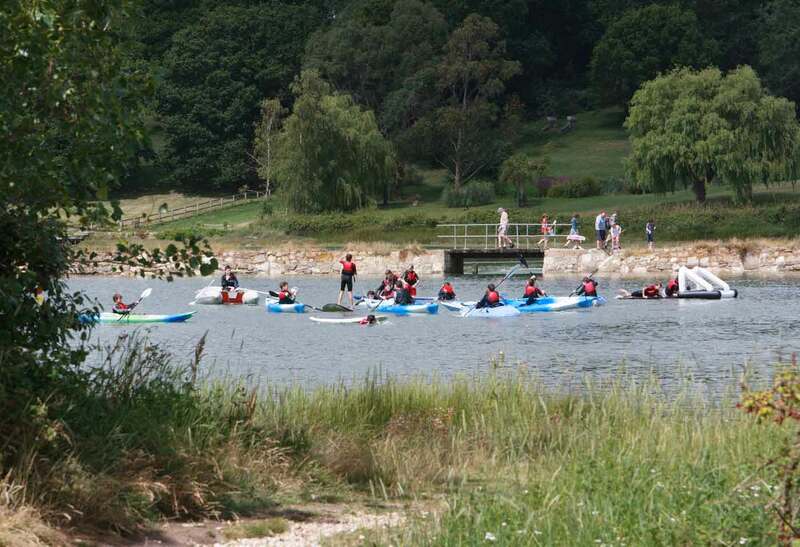 This is also your chance to learn some skills to develop your kayaking ability and build up your confidence on the water. 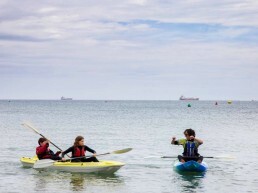 These sessions are an opportunity for you to check out some of the coastline and beautiful beaches on this side of the island. Aimed at people who have some experience of paddling, our instructors lead the group and if you like they will help you to improve your technique en-route. 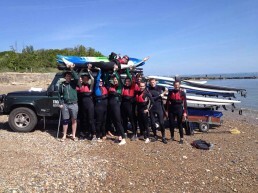 Experience level: Competent paddlers looking for a bit more adventure. 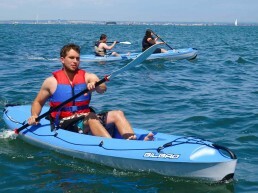 Minimum age: , unless in a double kayak with an adult. 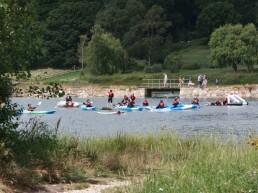 Tourer sessions are our most challenging paddle session. 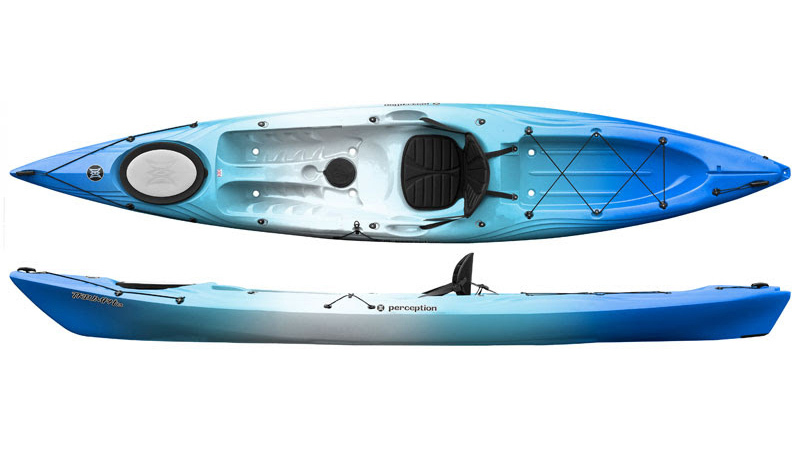 Carry everything you need in a sea kayak on this destination paddle.  It is the ideal opportunity to meet up with some mountain bikes for a trail ride home. The Bit Sports Bilbao is an adult intermediate boat that is great for our Splash Sessions but really excels in the Explorer sessions. 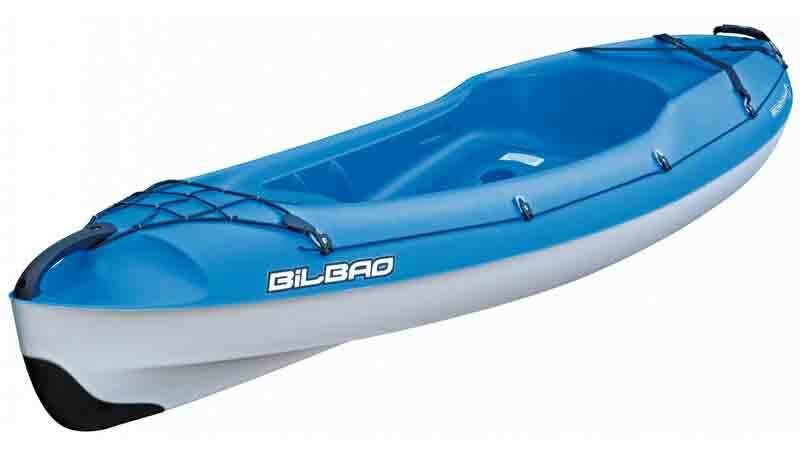 With its V shaped hull it glides through the water in a straight line, a bit more effort is required to spin this kayak on the spot. Its wheel at the stern allows easy solo entry into the water. 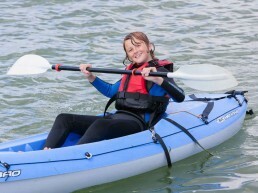 The Tootega is ideal for any age and ability and perfect for our Splash Sessions and Explorers. Its hull is designed to spin around on the spot with little resistance without restricting forward thrust. 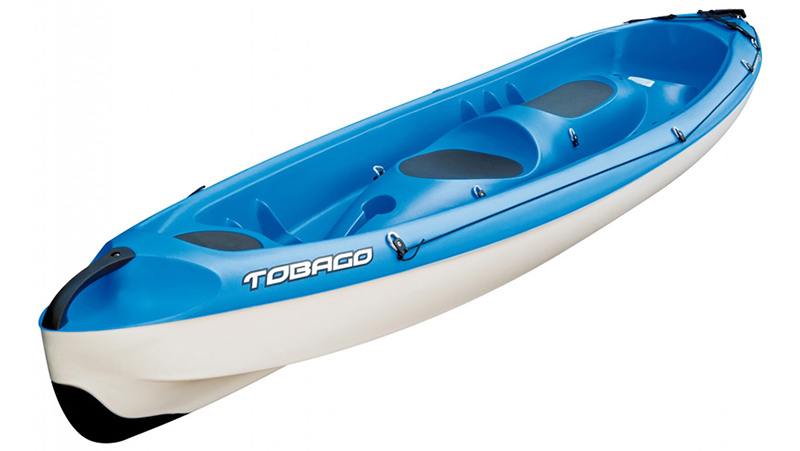 Its built in luggage compartment allows you to take those essential on short excursions around the coast. 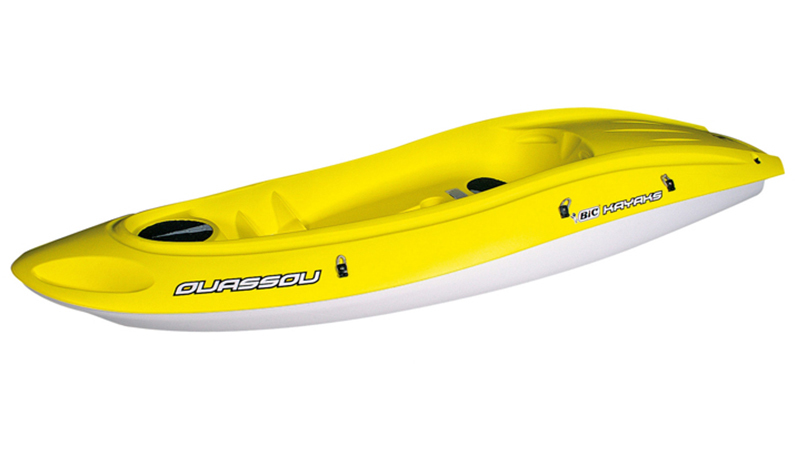 The Bic Sports Ouassou is an adult beginner boat great for splash sessions. 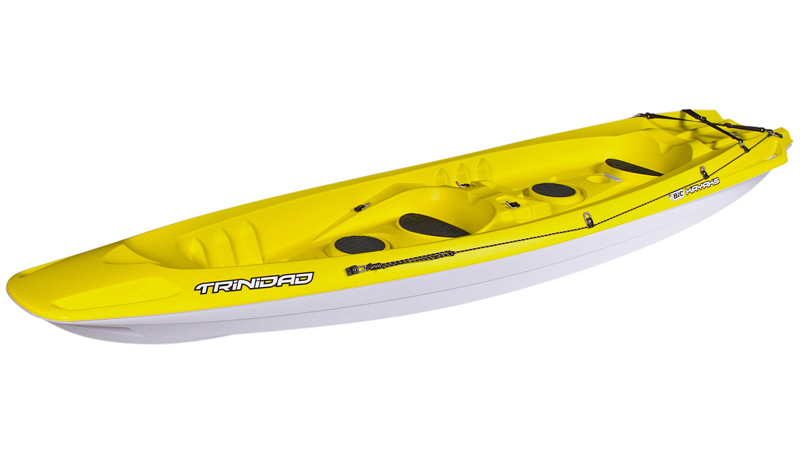 Purpose built for beach play, this kayak is stable and allows you to splash about all day long. The stern handles let you hang on and swim and allow easy access on board. 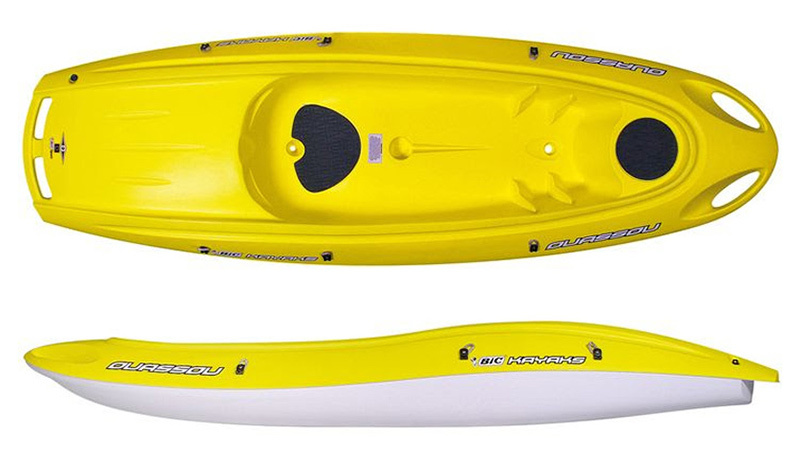 An adult intermediate boat that is built for distance paddle such as our Explorer and Tourer sessions. 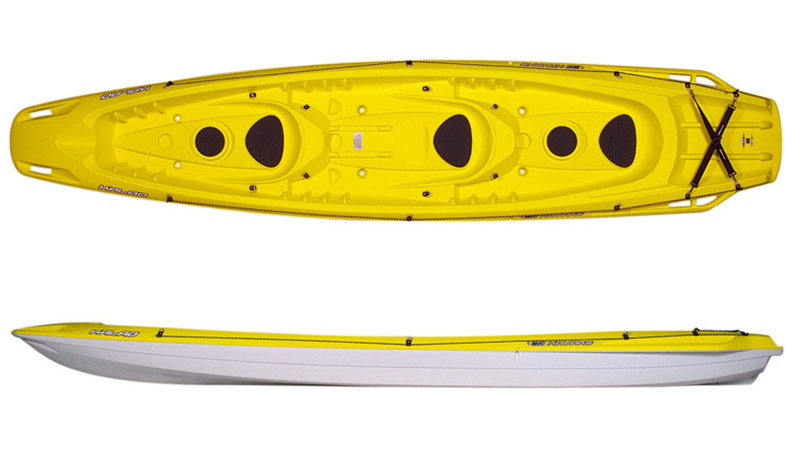 Learn and understand the art of distance kayaking in this streamline sit on top kayak. With a distinct hull chine and an upswept flared bow, the Triumph 13 will cut through chop and deliver a stable and predictable ride. A beginner double kayak that has 2 forward facing adult seats and one rear facing child’s seat. 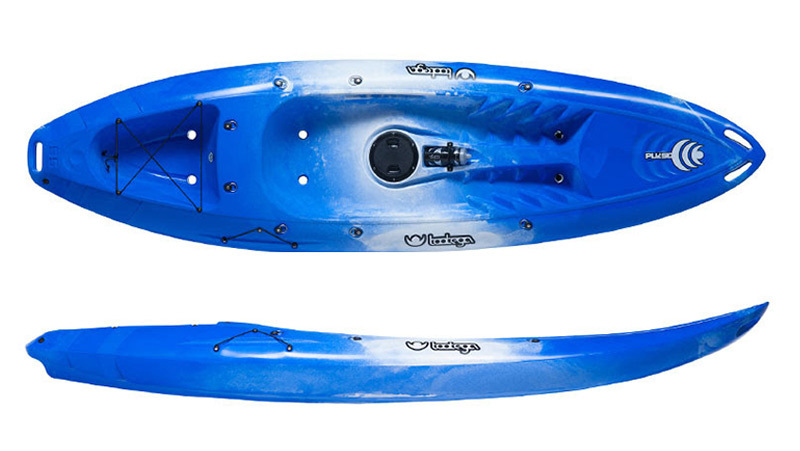 This double kayak is ideal for Splash Sessions or Explorer sessions. 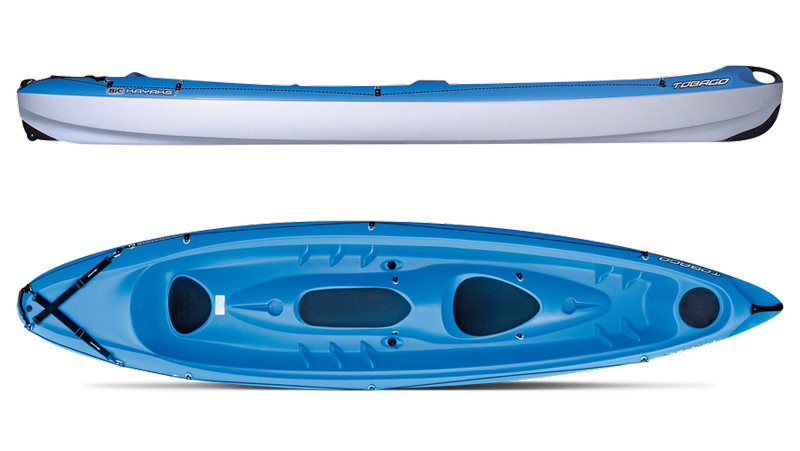 The flat bottom of this kayak makes it quick and easy to spin around. Its wide base gives it great stability for relaxing and mucking around on and its low sides make it easy to get in and out of. 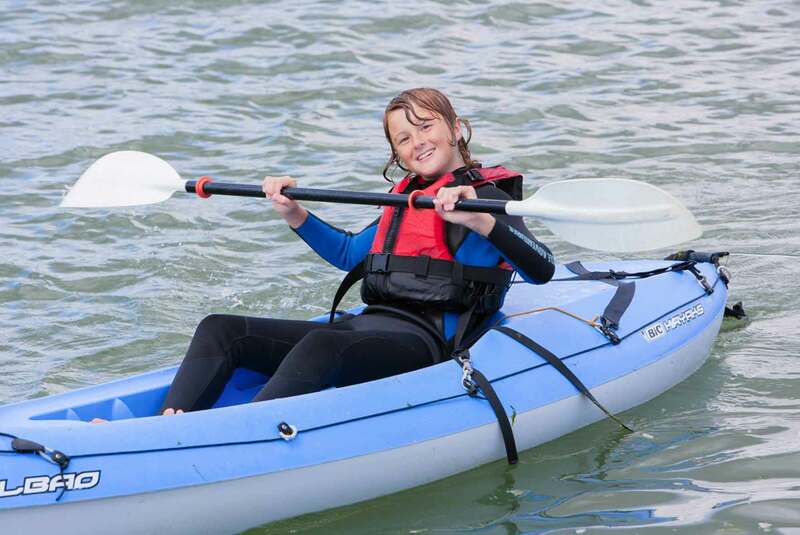 A beginner or intermediate kayak that has 2 forward facing adult seats and a saddle seat perfect for children. 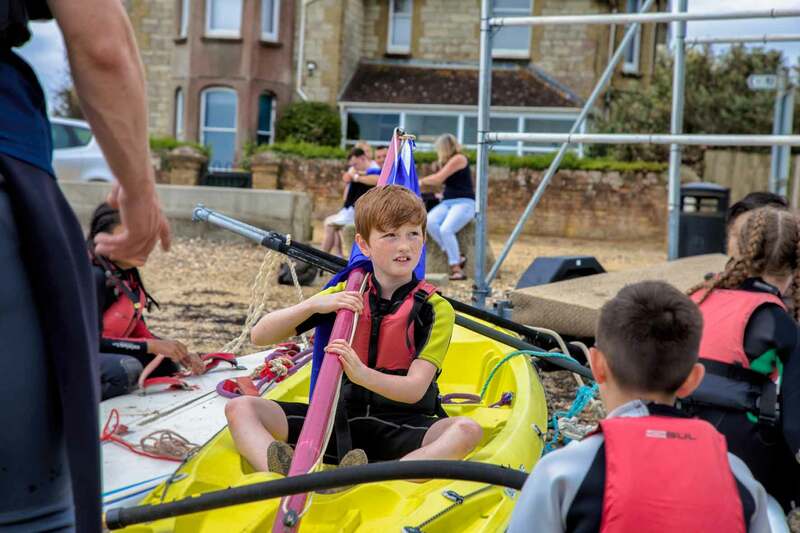 The V shaped hull keeps the kayak tracking in a straight line; combine that with its luggage space making it ideal to go on a little family adventure on our Explorer package. An adult intermediate sea kayak designed for distance paddling on the sea. This style of kayak helps you engage your whole body in to the stroke so the kayak can be propelled forward with ease. 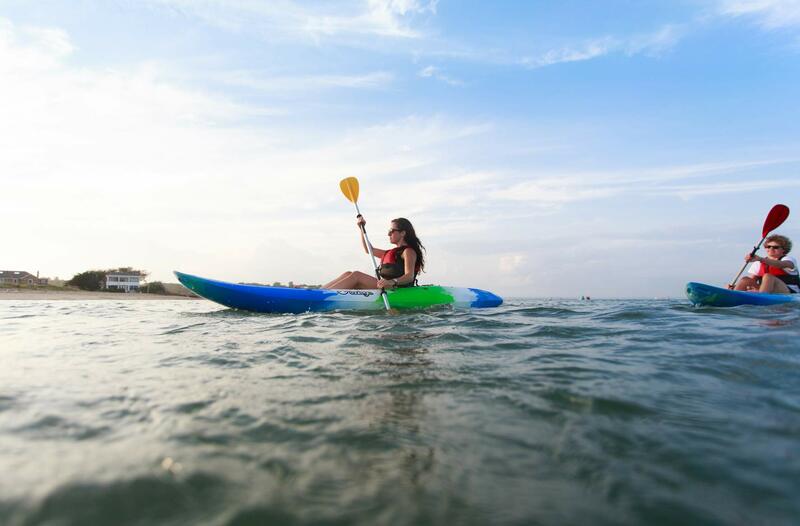 Its length and V shaped hull keep this kayak is one of the most stable sit in sea kayaks out there which allows you to journey and practice your paddle strokes without going for a swim.